Easy Skillet Chicken Recipe – This recipe is perfect for a blustery Friday night like the one we had yesterday. We were (and still are as of this writing) smack in the middle of a slow moving nor’easter packing 70 miles an hour wind gusts. With power outages everywhere in our area, I was lucky enough to have power restored yesterday just in time to prepare dinner. Sure, you can prepare this ch’ti recipe with a bit of chicken broth but the original recipe is prepared with a light beer. It is as regional a recipe as you can find in Picardie using a cheese – Maroilles – that is considered a specialty of Northern France and the Pas De Calais. Ha! That’s me. A native of Northeastern France. Ch’ti refers not only to the language (heavy on the Picard accent) but also to the natives of this rainy corner of Picardie. I believe there is proverb that states, more or less, the following: You can take the girl out of the country but you can’t take the country out of this girl. True this. There is only one problem! In Northern Virginia, I have yet to find the cheese for sale and believe me, I’ve been searching for it. Not even the high end specialty cheese shops in the Big Apple seem to carry it. I contacted the largest manufacturer and they came up empty as to information on importers! Time to do what I’ve done for years – adapt a recipe to the available ingredients while retaining as much of the original flavor as possible. Tillamook Vintage Extra-Sharp Cheddar Cheese 2lb. I replaced the Maroilles with an equally stinky cheese. 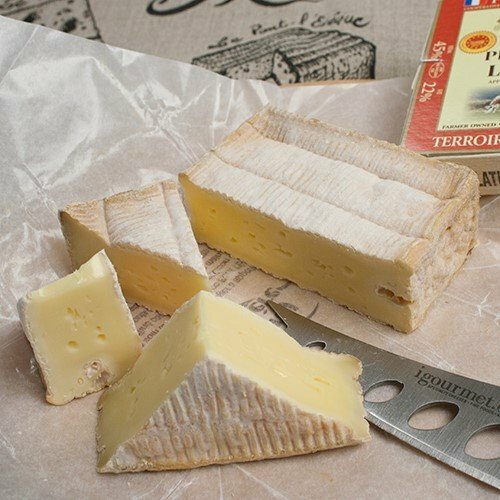 Unfortunately, even a Pont L’Eveque does not have the unique flavor or even the same consistency as Maroilles which easily melts into a perfectly smooth cheese sauce. Forget the French cheese (for just a moment 😊 ) and consider cheddar as the ideal cheese for sauce. 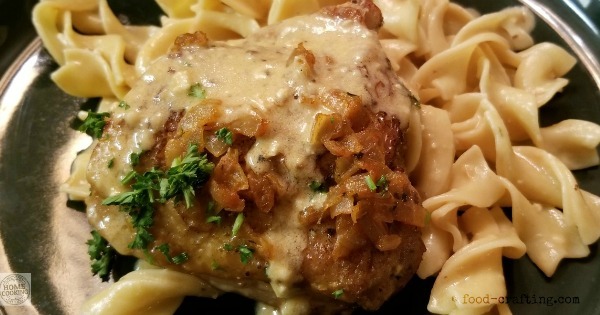 It would have to be an aged cheddar like this one to come close to the intense flavor you need to make a great cheese sauce for this easy skillet chicken recipe. I probably would have fared better using cheddar than the expensive Pont L’Eveque. All-Clad T134 Stainless Steel Flat Whisk / Kitchen Tool, 13-Inch, Silver Aged cheddar will make a tasty sauce but you won’t have the unique flavor or pungent aroma of the Maroilles which can be aged anywhere from the basic two weeks to at least two months. Back home, it even has a moniker – the stinky old one – but I can find it in any market in all sizes and aged to perfection. It is also the best cheese to eat with beer – one of the recipe ingredients! 😁 A flat whisk my kitchen tool of choice when making any sauce in a skillet but especially cheese sauces. It catches all the bits of cheese as you whisk in a circle across the bottom of the pan to incorporate them in the sour cream as quickly as possible into the liquid. Works just as well when I make the sour cream and mustard sauce for my Russian Beef Stroganoff recipe. Yes, I tweaked the basic recipe seasonings a little but kept the beer as an ingredient. I always add a touch of something to make it mine. It’s still an easy recipe with a minimum of ingredients. Rich and cheesy sauce coats braised #chicken pieces in this French easy skillet chicken #dinner. Use chicken broth or braise the chicken breasts or thighs in light beer for an authentic taste tweak. Toss the pasta in the sauce then ladle more sauce on the chicken pieces for a satisfying quick meal. Chop the shallots (and/or onion) into fine dice. Dry the chicken pieces on paper towels. In a small bowl, mix the sour cream with the diced cheese. In a heavy skillet, over medium heat, melt half the butter. Add onions and sauté until they begin to take on color. Sprinkle the shallots with the paprika powder and stir to combine well. 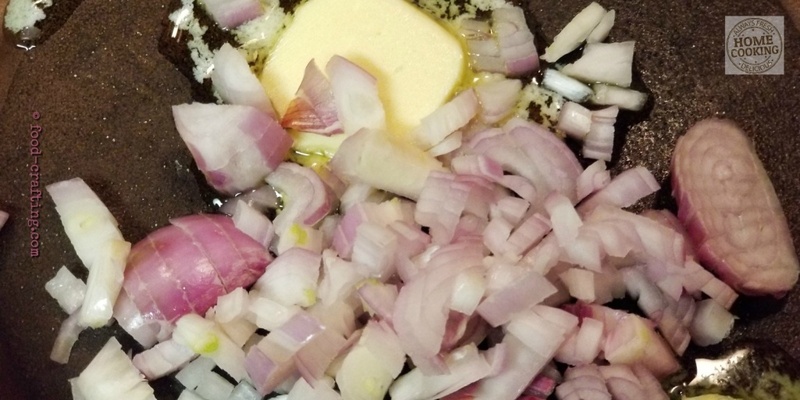 Sauté a little longer but do not let the shallots burn. 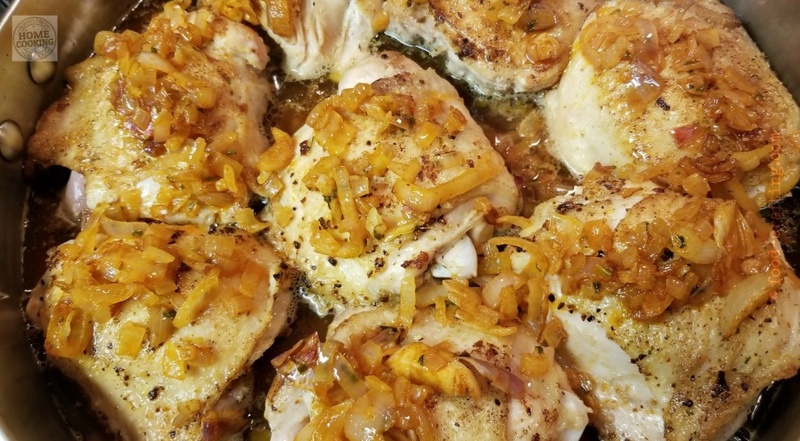 When done, remove the shallots and set aside while you prepare the chicken pieces. To the same pan, add a little butter and sauté the chicken pieces, skin side down (you can use skinless pieces as well). Season to taste and sauté until golden brown on one side. Turn over the chicken, season to taste and fry the second side until golden brown. When the second side is nearly done, reduce the heat to LOW, add all chicken pieces (if you sautéed in batches), top with the sautéed shallots and pour 1/2 the beer evenly over the chicken. Swirl around to distribute throughout. The beer will foam up so be careful not to pour it in the hot skillet too quickly. Cover the skillet and braise the chicken for about 45 minutes. Check about 15 to 20 minutes in to see if you need to add a little more beer. 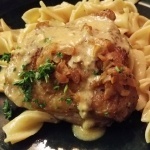 Remove from the skillet and set aside while you prepare the cheese sauce. Over low heat, add the sour cream and cheese mixture to the broth in the pan. Whisk into the beer broth until the cheese is melted and the sauce is thick and creamy. 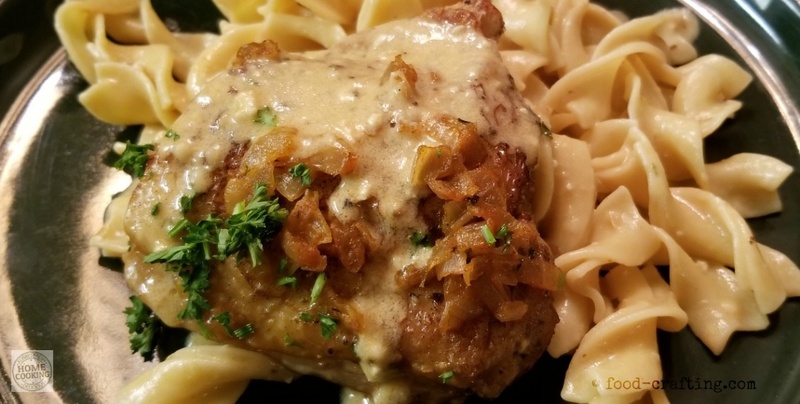 You can put the chicken pieces back in the pan but I opted to serve the pasta (tossed in some of the cheese sauce), topped with a piece of chicken and then ladle more cheese sauce over the chicken. Serve over pasta, rice or steamed baby potatoes. Or straight up with a side of veggies. Of course, this Easy Skillet Chicken Recipe pairs well with a glass of frosty Stella®! One of Normandy's classic cheeses, Pont L'Eveque is a soft cheese with a washed rind. All Isigny cheeses are matured in special cellars before being graded by hand. They are then sold on with the exact degree of ripeness specified by the customer.